Good Hope's western border is SC 462; its eastern border is the Broad River. 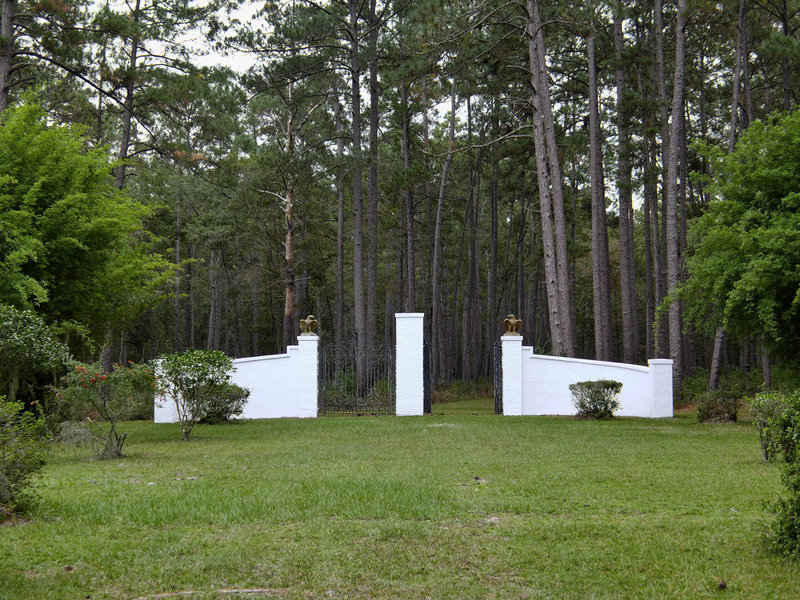 The plantation is situated partially in Beaufort County and partially in Jasper County. Current status  Used as a hunting lodge. Land is planted in pines and harvested annually for pulpwood and telephone poles; it is also rented for cornfields. Good Hope's owners intend to develop the land in the near future. Good Hope was established in 1891 and this new plantation never used slave labor. Camp Good Hope, as it was originally called, was created when New York banker Harry B. Hollins began to purchase land in the area to be used as a hunting retreat (3, p. 18). 1909  General John Howard sold White Hall Plantation to Harry B. Hollis. This property Hollis folded into Camp Good Hope (3, p. 18). 1910  Herbert L. Pratt, president of Standard Oil, purchased Good Hope from Hollis. Pratt constructed several cabins and a lodge (3, p. 18). 1930s  The lodge building was lost to fire (4, p. 174). 1932  Good Hope Corporation began managing the property for timber and wildlife hunts (3, p. 8). 1944  A main lodge building was constructed (4, p. 174). 1945  Pratt died and his widow Florence Balsdon Gibb Pratt retained ownership. She and her second husband, Richard Webel, used Good Hope Plantation as their winter retreat (4, p. 174). Land encompasses Honey Hill battle site and ruins of White Hall (home of the Heywards on Euhaw Creek); adjoins gravesite of Thomas Heyward, Jr., signer of the Declaration of Independence (gravesite located at junction of SC 462 and SC 333). Five separate buildings are on the property. They are of log cabin construction and painted white. Each is connected by a brick walkway (1).